Could be – Somerset House is one of the venues being tossed about for an encore showing of Alexander McQueen: Savage Beauty. That’s right, the fashion exhibit that broke records (and many hearts) at The Met, will be going home to London – a story broken by Melanie Rickey, Editor-At-Large at Grazia mag – on her blog. Gems from one of my favourite McQueen collections, FW09, masterfully displayed at the Met. of major venues in London for some time now however nothing has been finalised. I didn’t get to New York for the exhibit, but there are things I just know in my heart when it comes to McQueen. I knew I’d see Lee in London. Here’s a virtual tour with The Met’s Andrew Bolton to tide you over until 2013 – when the exhibit is planned, to coincide with the 20th anniversary of the launch of the Alexander McQueen label. Read all my related posts about Savage Beauty. With files from Melanie Rickey/Grazia, linked above. 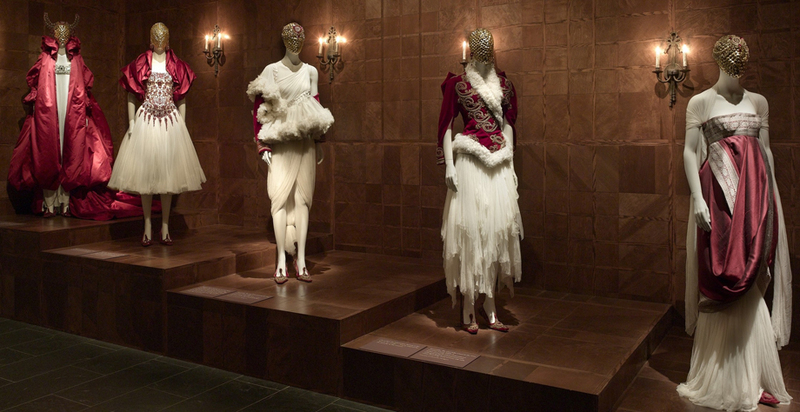 Image courtesy of The Met, from the 2011 Alexander McQueen: Savage Beauty exhibition.